The fine woodworkers of The Wildlife Gallery have been creating functional works of art for taxidermy, education, and for the home for over two decades. Their passion is taking a raw piece of wood and crafting it into the piece you see in your dreams. 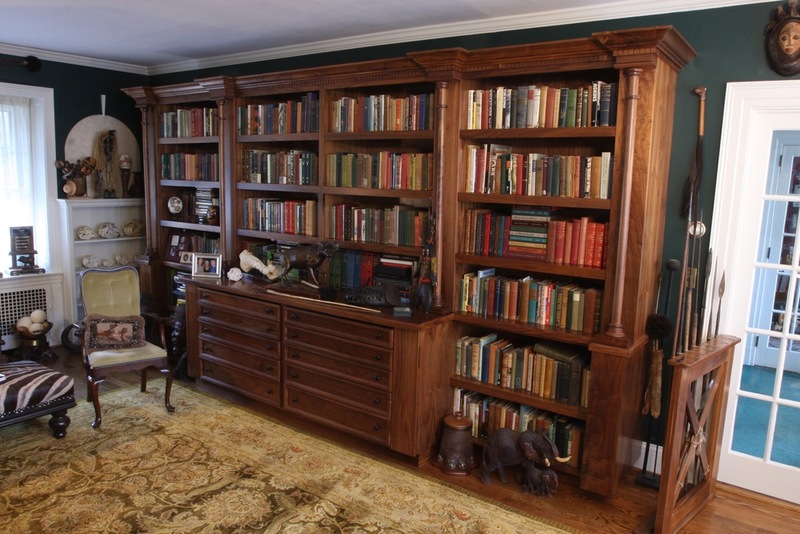 Our woodworkers make a variety of high quality custom furniture sure to please. Every mount tells a story. A story of a difficult hike, exotic locations, and perfectly placed shots. 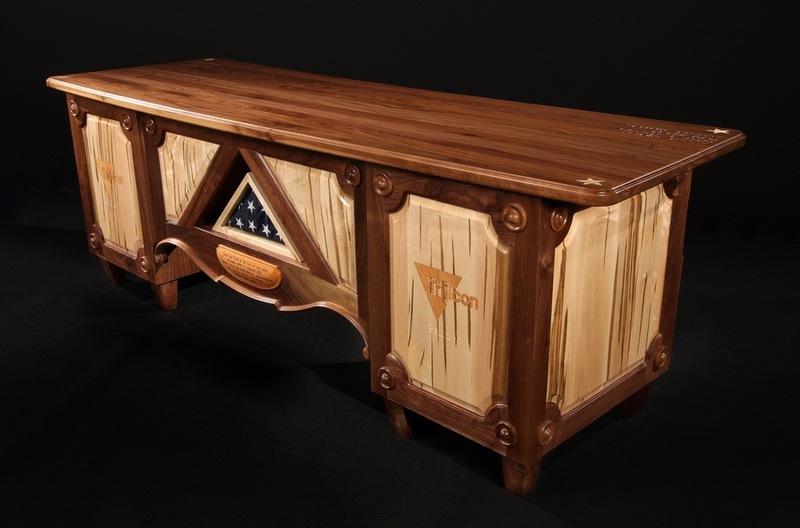 Whatever story your mount tells, let it speak loud and clear for generations to come with custom woodworking by The Wildlife Gallery. We deliver stunningly creative pedestals, bases, and plaques with an almost limitless variety of customization. Each piece is designed with your project in mind. Wood choices create contrast between the mount and the display piece or can reflect the animal’s native habitat. Inlaid wood, V-Carvings, three dimensional design, and fur panels add depth, color, and personality. One of the most important decisions you make about your piece is the type of wood used. Wildlife Woodworks offers several different types of woods, colors, and finishes. Finish colors may vary slightly.